I rode my bike yesterday. Yeah, I know, no big deal, right? I ride my bike about 250 days a year so why was yesterday special? Well, I cried on the bike yesterday. These weren't tears of pain, but tears of fear, and they caught me completely off guard. I'm not sure why I was so affected by yesterday's ride. I crashed a week ago (only my 2nd road cycling crash in 14 years, hit by another cyclist). My only other crash was in 2002 when I was hit by a car. I was very fortunate and my injuries were very minor (soft tissue damage) but it meant that I have only been on the bike twice now since the crash. The first time on the bike, I felt fine mentally, except a bit of nervous energy when I returned to the site of the crash. But yesterday, I was nervous even before rolling out the door. I think the death, on Wednesday, of a woman about my age, riding on a road I've ridden at least a few hundred times, due to a collision with a motor vehicle, left me feeling a bit uncertain about my own safety. I'm a super-defensive rider. I like to believe I see and anticipate every potential risk. I don't ride on roads that I perceive as dangerous. I'm extra cautious when riding during twilight hours (because vision is limited). 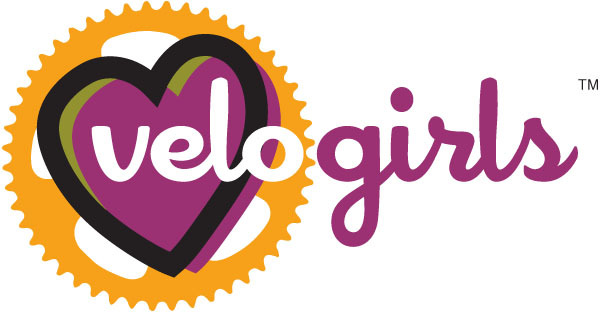 I learned great tips for "thinking like a car" from Velo Girls sponsor Gary Brustin (BicycleLawyer.com). I teach participants in our skills clinics that YOU DON'T HAVE TO CRASH YOUR BIKE. I believe that. I've had close calls with automobiles pretty much every ride I've ever done, and yet I've kept it upright. But suddenly, yesterday, I was very nervous. Not a quarter mile from my house, a woman almost hit me while she was talking on the phone. Two miles later, a man in a big white truck with jacked up wheels and NRA stickers all over the cab, intentionally tried to spook me by swerving into me. When I rolled up to the red light, stopped next to him, he turned and laughed at me, then floored it and sped off. As I started my first climb, I realized that the cars felt faster, closer, and more distracted than usual. I kept asking myself "why do these cars need to drive so darn fast?" I almost turned around at that point. I just had a nervous feeling about being out on the bike yesterday. And that's when I cried. And I don't really know why I cried. I know plenty of folks who have died while riding a bicycle. I know plenty of folks who have died while not riding a bicycle. I know folks who've suffered severe, life-changing mental and physical injuries. I've had plenty of close calls myself. I've been the victim of hatred and violence while riding my bike. Maybe my tears had nothing to do with riding a bike at all. I decided that the worst thing I could do would be to call my ride short. I needed to keep pedaling, to regain some confidence, to calm my nerves. I made route decisions based on my mental state, avoiding certain roads that I knew would be busy on a Sunday afternoon. I found myself being a bit more conservative than usual, controlling my speed a bit on my descents and being hyper-aware of blind turns. I noticed a larger-than-usual number of bicycles with both front and back blinky lights (thanks in some part, I'm sure, to a fabulous blog post earlier this week by Mike Jacoubowsky of Chain Reaction Bicycles). And then, I chose a small climb I haven't ridden in many years. It's a bit off the beaten path and I thought that would be good for me. As I settled into my climbing rhythm, I felt a calm settle over me. The road was deserted and lovely. As I peaked, I had the most gorgeous view of the San Francisco Bay, Mt. Diablo (recently ravaged by wildfire) and Mt. Hamilton. I regret not taking a photo, because the late afternoon light created the perfect contrast and depth on the bay and the east bay hills. And I finished my ride the way I always finish my ride with a victory salute as I rolled down my street, celebrating the fact that I made it home alive. Yup, I'm always aware of the risk. We should ALL be aware of the risk of riding a bike. But I think, too often, we forget. Or we hide our emotion as a coping mechanism, allowing us to continue participating in an activity that really is dangerous. We forget, until someone is injured or killed and we can't forget anymore. I love riding my bicycle more than just about anything in the world. And I've ridden a bicycle for 14+ years, longer than anything else I've done in my life: any job, any home I've lived in, any boyfriend, any anything. Riding a bicycle makes me feel free! Riding a bicycle clears my mind and helps me manage my life stress. Riding a bicycle makes me feel that I can succeed at anything and has greatly improved my self esteem. Riding a bicycle completes me. Well said, and I totally agree with your approach: There are times, on some rides, when all the drivers seem out to get you. Like you say, that's not the time to turn around, but it can be a cue to change something up -- pick a calmer route, kick up your hyper-awareness another notch -- whatever it takes to get the big mental bullseye off your back. Great job, thanks for sharing. Sometimes a little release valve just needs to release a little this/that - - picking routes for your mental and physical state of mind are an important part of riding, thanks for the reminder! I've felt vulnerable on my bike at times too,usually on roads I shouldn't be riding solo. Good call to pick a different route until your head cleared. After a bad crash on the velodrome in 1999, I was on the bike three days later. Riding is great therapy. "Riding a bicycle makes me feel free! Riding a bicycle clears my mind and helps me manage my life stress. Riding a bicycle makes me feel that I can succeed at anything and has greatly improved my self esteem. Riding a bicycle completes me." That's because the bicycle is a self-powered extension of your soul. It taps into your heart, your mind, and it's almost a symbiotic, inseparable relationship. Riding keeps us sane. Wow - this is a really powerful post. Thank you for sharing your thoughts and being brave enough to keep on riding. Wow, really wonderful post Lorri..I think we all take the road for granted sometimes and aren't as careful as we should be- we get caught up in the moment of the wind in our faces and feeling of flying on the bike- I know I do. I have had some scary moments- but they happen so quickly, that I soon forget. But, your post is important to remind us that SAFETY should always be # 1 when we're out there and to ride with caution and awareness. Thanks for sharing - and kudos for putting the fear behind you, seeking out alternate routes, and continuing to ride!